They hardly used any of some of the colors so I think I will make some endpaper mittens out of white and perhaps delta or blush. 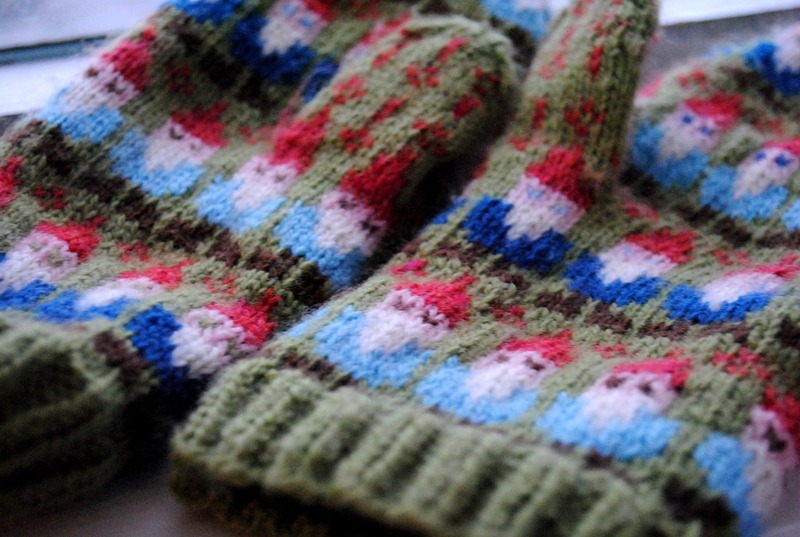 The mittens were knit up incredibly fast. It was so fun to watch the gnomes form. 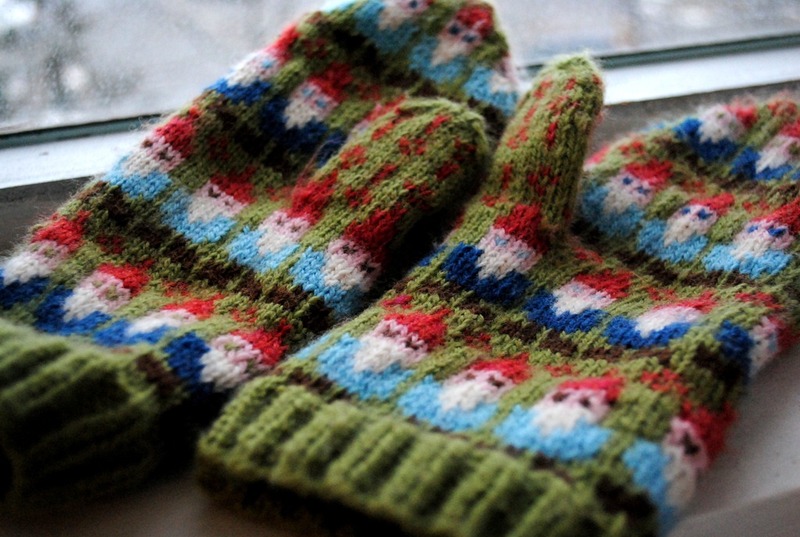 I love fair isle!!!! LOVE. It’s not as hard as you think – I promise. 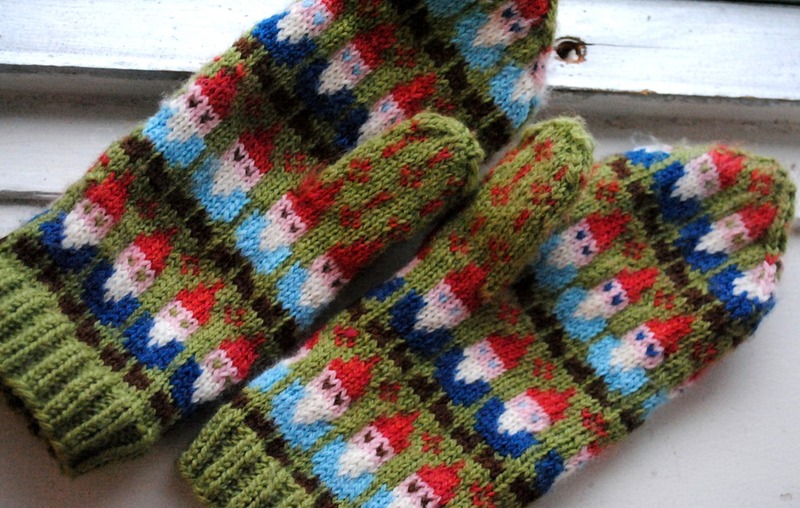 I knit these in under a month with many many christmas projects slowing me down. In fact, I actually knit about 3/4 of the second mitten over 2 days. They are warm and I love them and I wear them EVERY day! I get lots of comments and OMG you knit those?!?!?! about them. I love it, people are so impressed by me! If they only knew how simple it really was. This is by far my favorite project of 2011, so happy to share them with you!